Engineers are developing rotatable and foldable facade elements with function and almost magical touch. Outer shells will become interactive energy facades when equipped with movable elements. Kinetic architecture is experiencing exciting impulses thanks to innovative materials and new technologies. Kinetic architecture is experimenting with movable building parts, such as rotating façade elements or folding walls. Pioneers of kinetic architecture have been artists of Constructivism since the beginning of the 20th century. 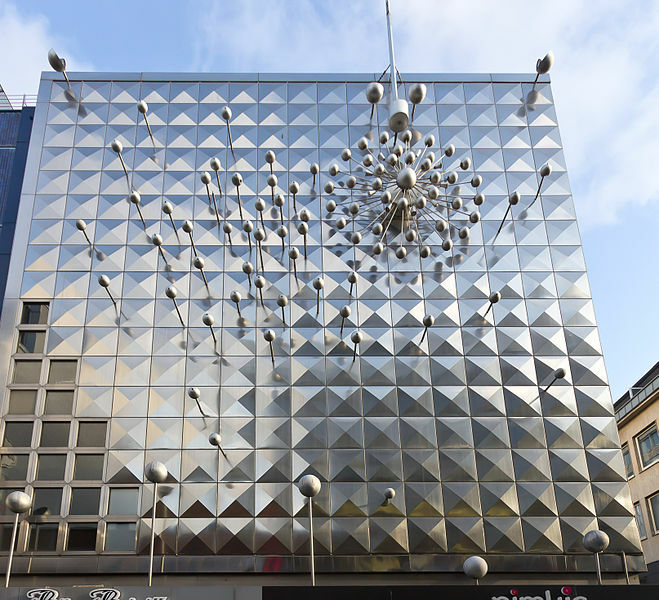 An example of the later symbiosis between kinetic art and architecture is the corner facade of an office building in Cologne's Hohe Straße, designed in 1966 by ZERO artist, Otto Piene. The center of the outer shell is made of faceted steel panels that form a wheel from which rods with aluminum spheres project. After decades of stagnation, the huge light reflector is planned to rotate again soon. Kinetic architecture is still associated with surprising visual effects due to moving facade elements. The spectacular digital facade of the MegaFaces pavilion in Sochi which displayed ever-changing portraits of visitors was an example. Inspired by technical innovations, the functional spectrum of flexible facade elements continues to expand. Another example is the "Bloomframe" developed by the architects of HofmanDujardin for warm summer nights in densely built-up urban areas: the façade of the building showcases a split window which folds out to become a balcony at the touch of a button in 10 seconds. A lot of technical research has gone into the mechanism and the stability of the practical "folding balcony". In the Sharifi-ha House in Teheran entire rooms can be rotated out from the facade. A breakfast lodge, guest room and home office can be swiveled out by 90 degrees. The mechanism, developed by the German company Bumat, is reminiscent of revolving stages in the theater. In the winter, the cuboids remain within the closed facade. In the hot summer months they are transformed into loggias with stunning views. Kinetic facades change according to the rhythm of the weather and the seasons, alternately close and open their form and provide residents with very flexible comfort. That makes their functionality just as important as their design language. Another new kinetic facade variant is the smart building envelope: Rotating elements such as slats, flaps, sails etc. interact with external influences. They can open and close gradually, depending on the measured value of sunshine, temperature, wind or freshness of the air, thus providing targeted control of light incidence and the interior climate. Usually they are powered by engines with bevel gears. This results in movable facades with an air conditioning function that can change in a playful manner, either autonomously or computer-based, using programmable choreographies. For example, on the One Ocean Pavilion of Soma in Yeosu, South Korea, 108 individually controllable fins open and close like the gills of a fish. Twice a day, the facade is set into motion for enthusiastic visitors: A giant wave seems to run through the entire building. In addition, light and the indoor climate are controlled by the slats. A flexible, glass fiber reinforced plastic had to be especially developed based on biomimetic principles for these effects in which opening angles can be moved seamlessly and can "spring back” in an elastic manner. Smart materials play a major part in new kinetic architecture. 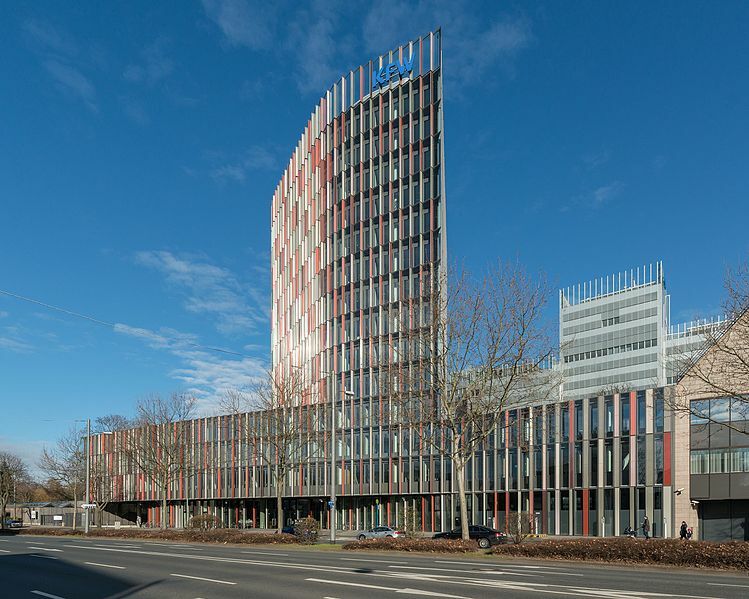 The characteristic of the KfW Westarkade in Frankfurt am Main - one of the most energy-efficient office buildings in the world - is an innovative type of glass that can be designed in any form and, thanks to a high-tech coating, can also be used to cover a large surface for sun protection. Movable, vertical glass flaps in warm earth tones give the building a crystalline-polychrome beauty. 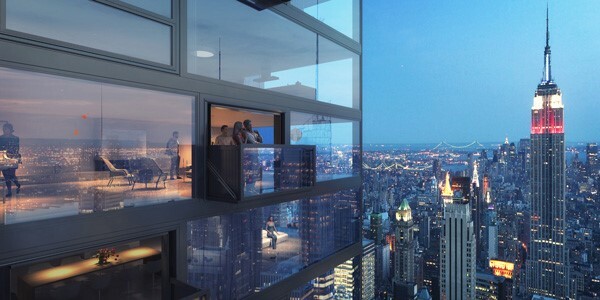 These can open and close depending on the position of the sun so that the building changes its look in a fluid manner. Colors and materials were chosen by the Sauerbruch Hutton architects in such a way that the new headquarters is an ambassador for the corporate values of the KfW Banking Group: Transparency, communication and environmental awareness. Kinetic architecture is being rediscovered. Its pioneering character makes use of an exciting liaison between functions to the benefit of user comfort and energy efficiency. Innovative materials and technologies become ingenious modulators of shape and function. An architect that is currently making a splash with kinetic folding houses is, for example, Ten Fold. The pressure is on - it is time for engineers and architects to come together and speed things up.